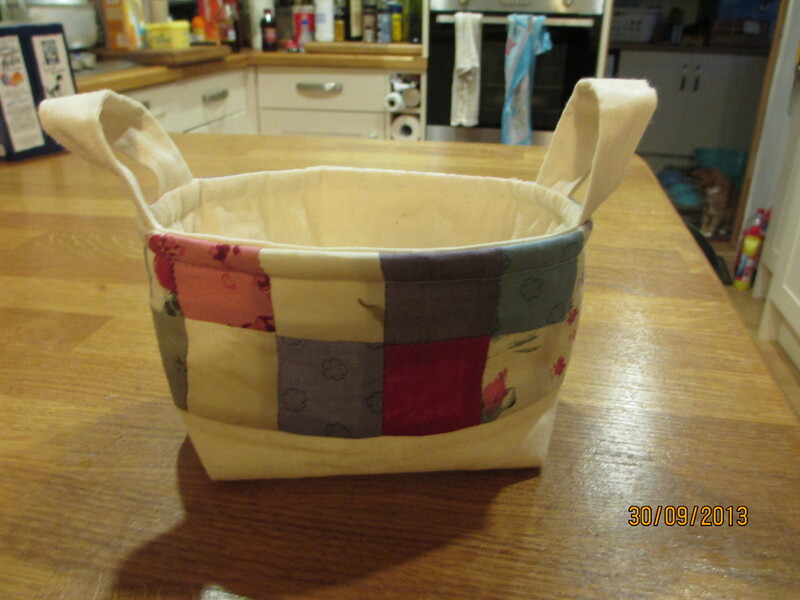 My latest wheeze is making patchwork tote bags and mini-baskets. A girl can never have enough bags and they are an easy thing to run up quickly when you see some nice material. Sometimes you don’t really want to make a huge family-heirloom quilt which take forever (well it does me) so bags are good. The little baskets are made courtesy of Ayumi, Pink Penguin, who very generously makes her Fabric Basket pattern and instructions freely available on the ‘net. I love these and I can see myself making a few for Christmas presents to hold bath bombs (Lush, Rose Jam Bubbleroons! ), or nice chocolates. 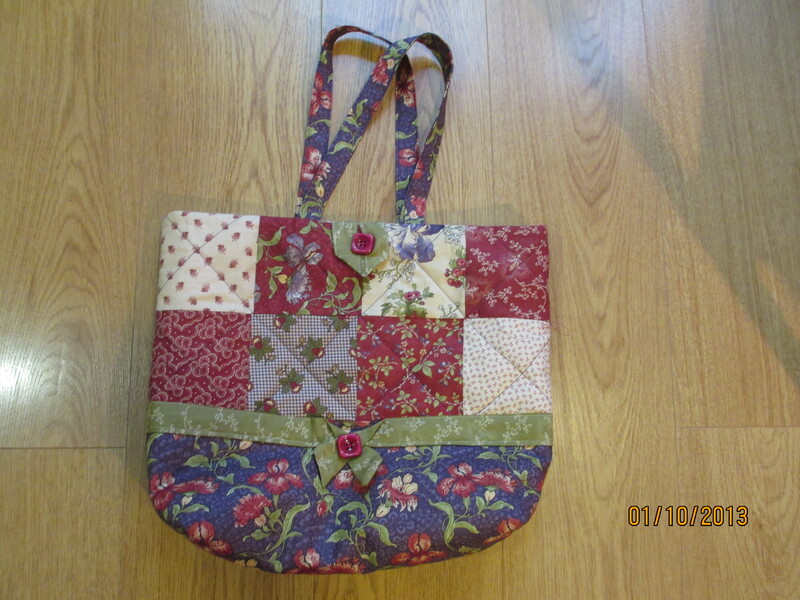 Last year I made patchwork tote bag which I was pleased with, but as I made it completely with scrap fabric, I wasn’t wholly satisfied with the colour scheme. I saw some gorgeous, gorgeous new material in the fabric shop at the weekend and so I decided to make me another bag but this time choosing my fabric and colours. I use the instructions available from Teresadownunder as I find the pattern and instructions easy to follow and the end product is both lovely to look at and practical.